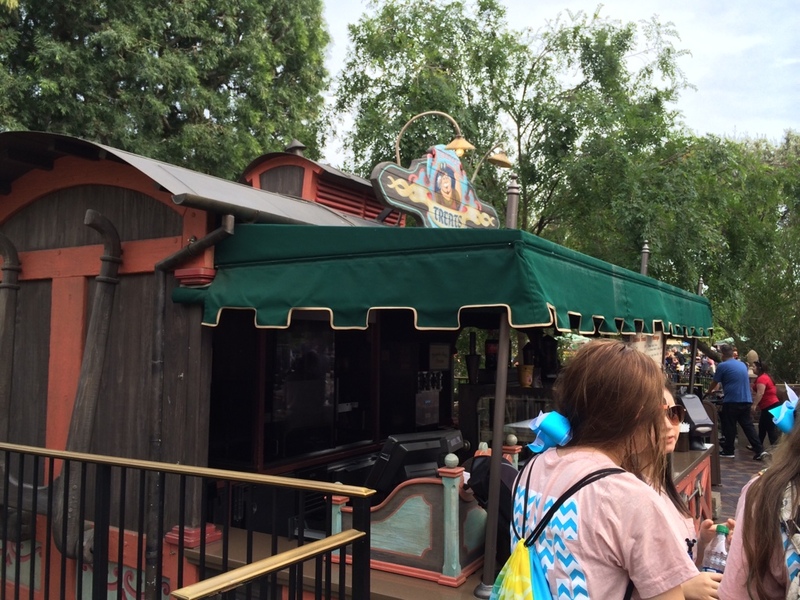 Located in the relatively new Fantasy Faire area in Disneyland Resort, is a lone food cart with very unique snacks for sale. 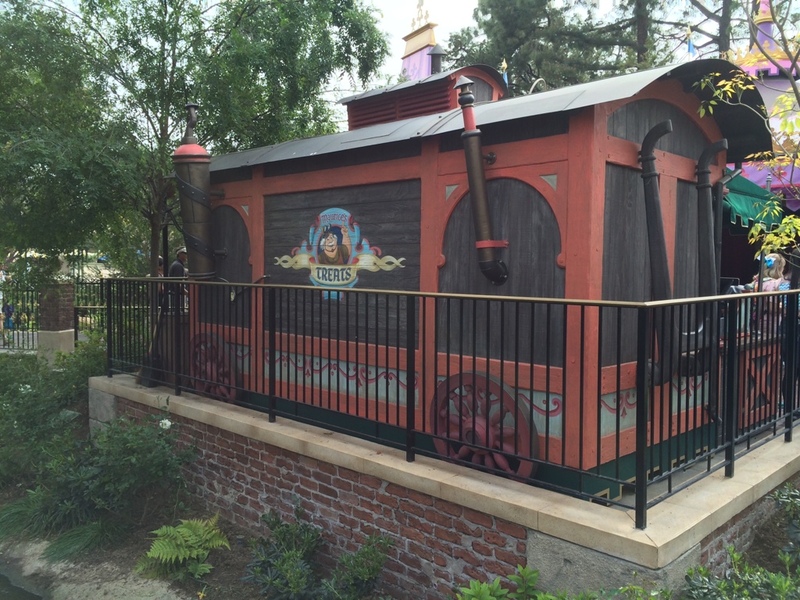 It’s called Maurice’s Treats, named after a famous princess’ inventor father — Belle from Beauty and the Beast! 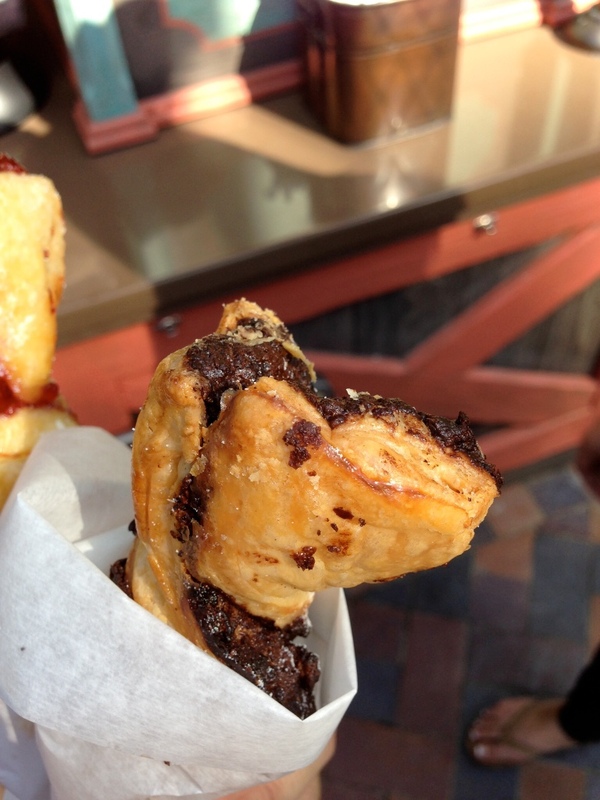 And a special pastry is sold here that you can’t get anywhere else in either Disneyland or California Adventure. Only here can you munch on twisted pastries and sip on a Boysenberry Apple Freeze to calm your hunger. 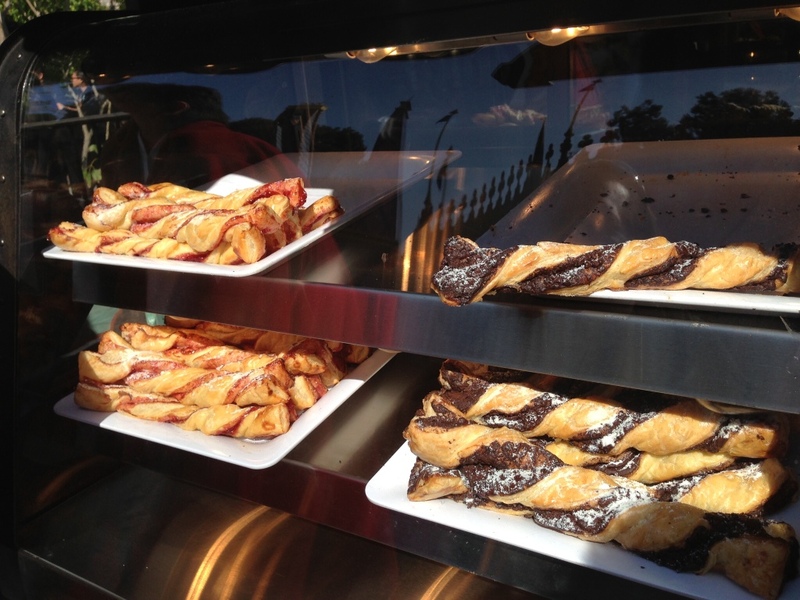 And there are 3 pastries to choose from: chocolate, strawberry, and cheddar garlic! Which one is the best? Let’s find out! First up, the strawberry twist! Take a flaky croissant, stretch it out, and twirl it and you’ll end up with the taste and texture of this interestingly shaped dessert. Sweet strawberry jam is layered in between the pastry for a bit of fruit flavor in every bite. I’m a not a huge fan of fruit jams or preserves (unless it’s partnered with peanut butter) so although this was enjoyable, I wouldn’t buy it again. 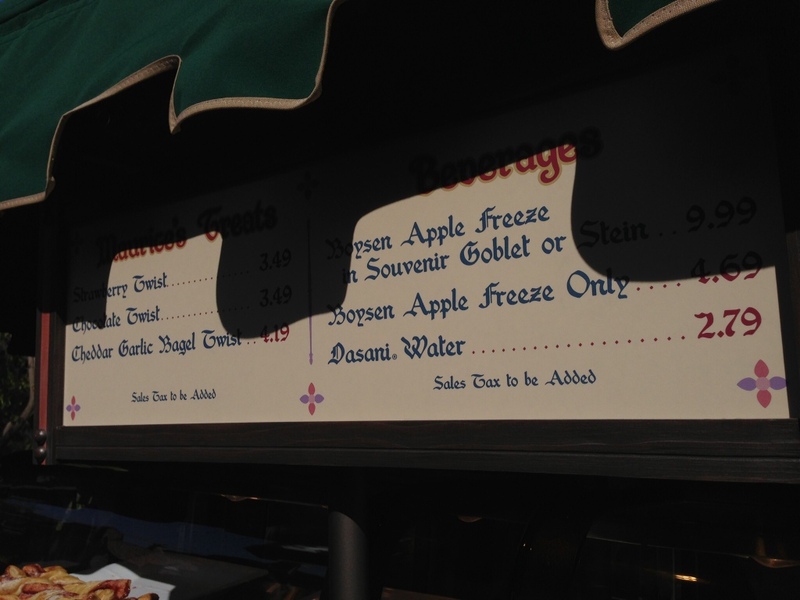 It was just missing that special something that other treats at Disneyland, like the beignets or cream cheese pretzels, have. And there were parts of the twist that contained very little jam. A bit more jam could have gone a long way to making this better. Final verdict: Try if you like jam, otherwise skip. Next up, the chocolate twist. If you’ve ever had a chocolate croissant, you’ll know what this tastes like. Rich milk chocolate and flakey pastry layers compliment each other perfectly. Every bite had chocolate in it until the very end. Verdict: Try it. It tastes as expected and is fun to eat. 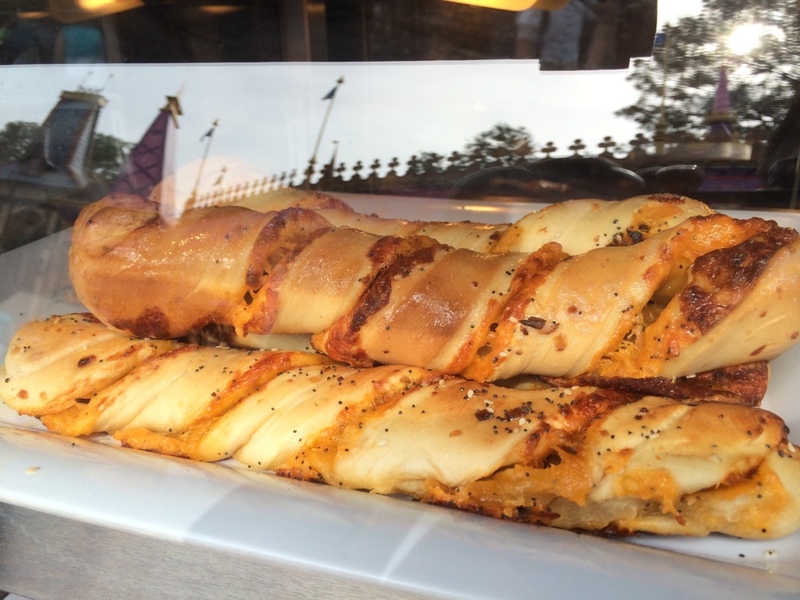 Lastly, we have the cheddar garlic bagel twist. The pastry on this really is like a bagel texture and density, contrary to the other 2 twist items so far. 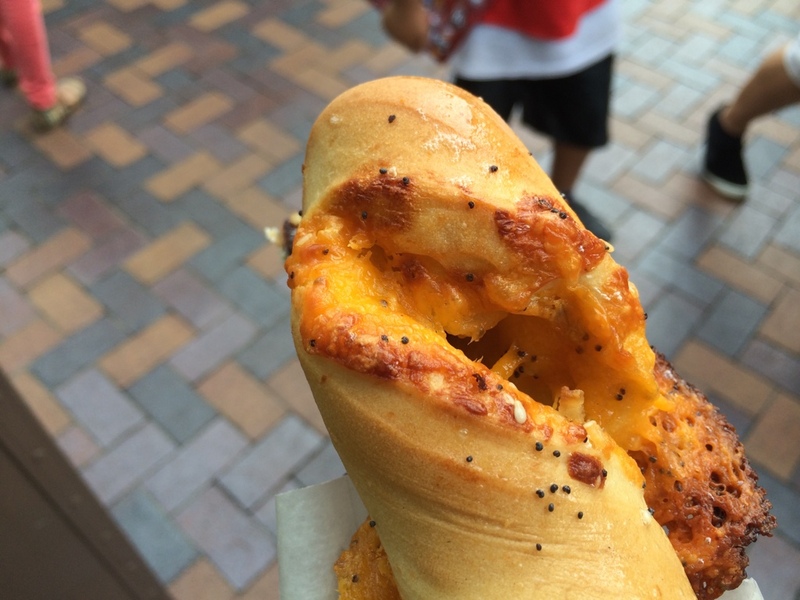 The bagel dough is baked with cheddar cheese inside that has been crisped in the oven before ending up at this cart. The bagel dough itself was slightly on the tougher side, compared to fresh bagels, and a bit on the bland side. The cheese and garlic were a nice combo and added some depth when taking a bite. But there wasn’t enough cheese so occasionally I’d get a bite of just bagel. Definitely not the best snack at the parks. 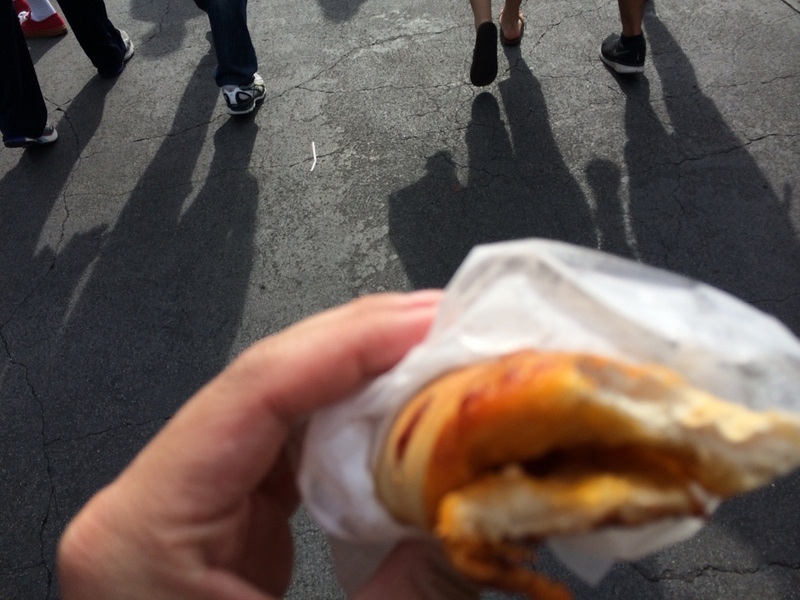 Verdict: Skip it, but if you’re really hungry, are craving something savory, and are stuck in Fantasy Faire area, it’s the only choice you have. Lol. 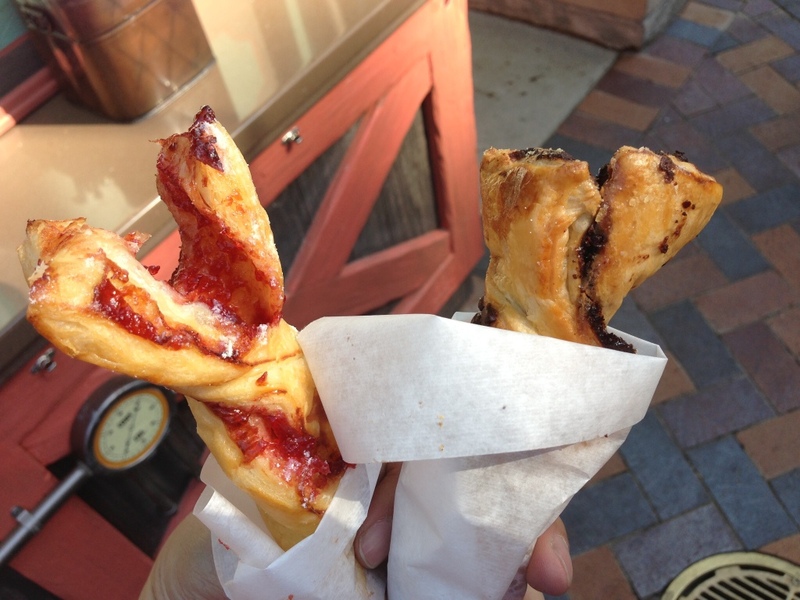 So after careful review and vigorous taste testing, the winner is…drum roll…the CHOCOLATE TWIST! Try one on your next trip!